Located at the transportation hub to deep seaport, airport, Bangkok and Nakon Rachasima province, a major labor resource zone. 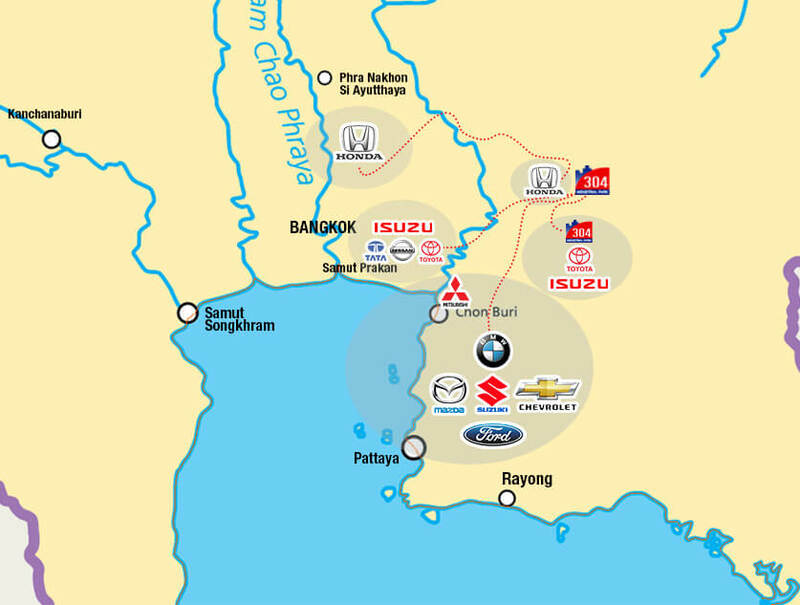 304 Industrial Park is situated in Prachiburi, the transportation hub, offers a nearly proximity to Bangkok, as well as, the convenient access to Laem Chabang Seaport, Suvarnabhumi Airport, and Nakorn Rachasima -a major labor resource zone. Situated at 14-20 meters above sea level is another key advantage of our site. Moreover, 304 Industrial Park forms part of a large manufacturing complex with many automobile parts and electronic component manufactures only a few hour drives away. This means the park is ideally situated to accommodate growth in both these industries, serving expansion of the local and regional automobile and electronics industries. 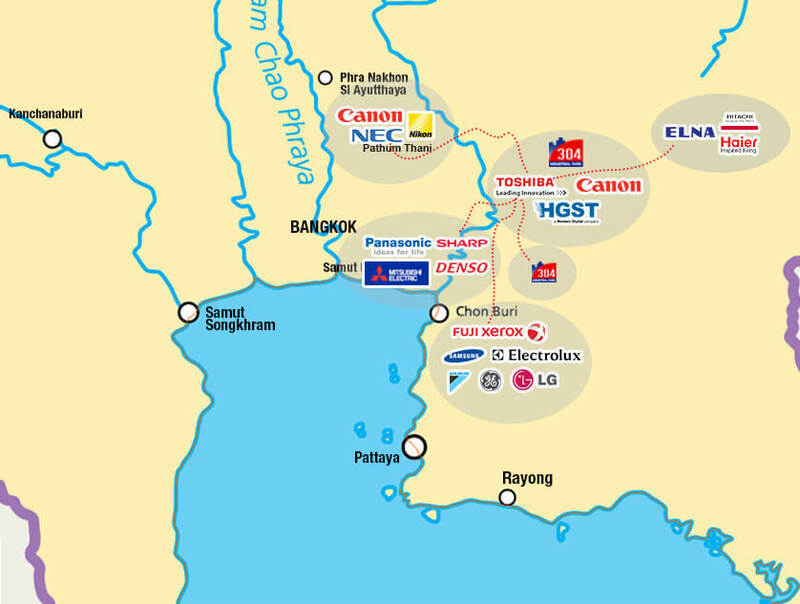 Regard to the forming of ASEAN Economic Community (AEC) that brings about Thailand the golden location with more economic importance, 304 Industrial Park is same, with potential and readiness of infrastructure, also the location on the Southern Economic Corridor (SEC) that connect us to the capital of Cambodia (Phnom Penh) and Vietnam (Ho Chi Minh). Consequently, to invest with us is the advantage to access the area of new investment of Indochina.